CAAAAN YOU DIG IT!? - D.L. Howell and Associates, Inc.
No, but seriously is this site safe to dig at? Whether it’s digging holes for soil test, septic testing, foundations, footers, or for an infiltration test excavation can be difficult and tricky work. It doesn’t help when you throw in the ever changing and unpredictable nature, of well nature. 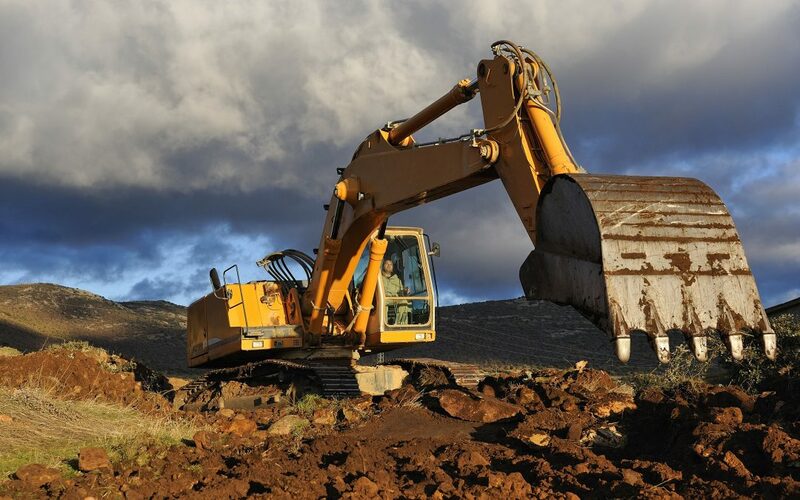 Wet, muddy, or steep conditions can cause a bunch of issues for excavation operators. These conditions can cause safety issues, delays, or additional costs that were never anticipated in the first place. Have no fear though, D.L. Howell & Associates is here to help so you have minimal delays and can learn a thing or two about excavation for your intended projects! Alright, so let’s talk (or read rather) about some basic points/tips for digging safety, these are for providing advice on following standards in excavation and keeping workers safe. These tips will allow you to get a better idea of what is involved in any future projects that you might have. What is the difference between Excavation and Trenching? Excavation is any man-made dug out area and a trench is a narrow spot longer than it is wide and must measure more than 15 feet deep. Planning Out the Dig and Current Conditions: Excavation or trenching projects are rarely ever the same. Employers must approach each new job with proper care and preparation. Before digging is done a thorough inspection of the site should be completed. If a site is to be excavated the following conditions should be considered before anything else happens. Conditions to consider are when was the last rain/snow storm, is the ground dry/frozen, is the dig location on a slope or high elevation? Proper preparation can not only protect workers (the most important goal), it can reduce costs associated with the project. Different Soil Types: Understanding and knowing the difference in compressive strength and stability of the different rock and soil types in the known area. This would include the soils texture, density, porosity, and water-holding capacity. Competent Operators: A competent operator is one who is capable of identifying existing and predictable hazards in the surrounding site. It is also one who can take prompt corrective measures to be as safe as possible for the job. Dangers for Operators: In addition to the danger of a cave-in, workers need to look out for falling debris, slippery or muddy conditions, and the general hazards from the equipment. This being tipping or uneven load balance on the machine. A good tip for avoiding cave-ins is to have all excavated soil and your chosen digging equipment at least 2 feet from the edge of all dug out edges. Accurate Bidding/Cost Analysis: Before all the planning, digging, surveying, or whatever else you might need employers need to look at a variety of factors before making an accurate and competent bid. Such as, local traffic for the dig location, soil classification, surface/groundwater, proximity of nearby structures to the dig spot, weather conditions for the day of digging, fall protection, ladders, and more. By conducting proper surveys,studies, and cost analysis before making a bid, employers can understand the equipment, personnel, and any planning needs they might have. Protective Systems for Operators and Individuals in Excavation: In order to protect workers from cave-ins, and other hazards of digging OSHA (Occupational Safety and Health Administration) requires employers to do the following. Support the sides of the excavation site to avoid cave ins. Place a shield between the side of the excavation and the work area. Slope and bench the sides of any dig locations. Working around Utilities: Call “One Call” before digging to ensure that the area is marked off and that you do not come across underground utilities, wires, or piping while digging. 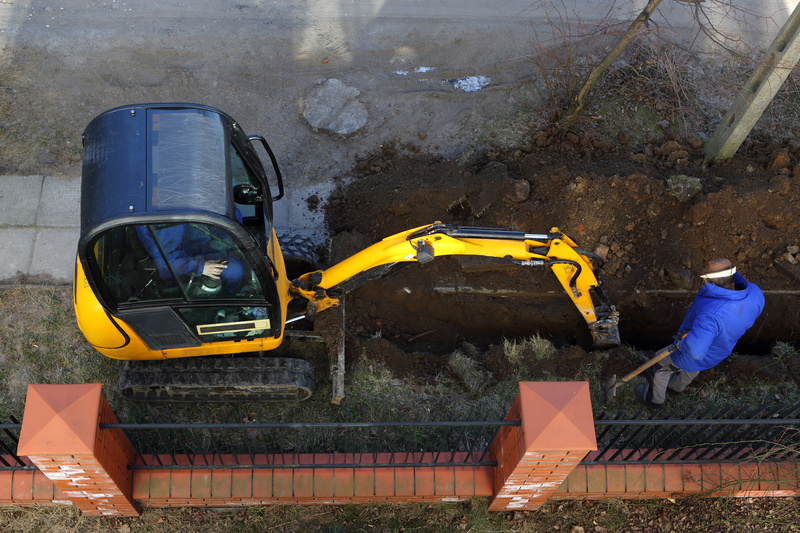 Ensure that while excavating, that all underground utilities are protected, supported, and not in any danger of being damaged or removed in order to protect workers and any individuals who might be in the surrounding area. Here at D.L. Howell & Associates we take all precautions to assure that all of our intended digs are as safe and as low budget for customers as possible. So, if you need some holes dug for soil, infiltration tests, or septic testing, contact us and we’ll be more than happy to help!